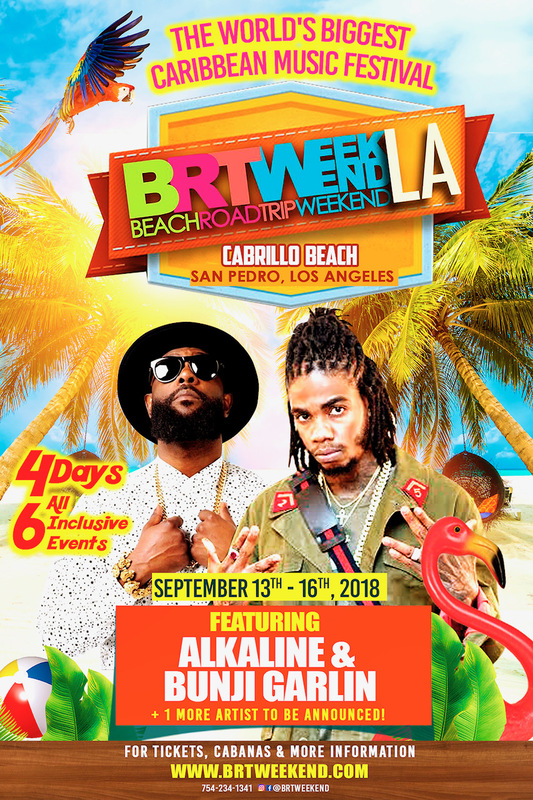 The largest Caribbean-party tour festival, Beach Road Trip (BRT) Weekend will take place at Cabrillo Beach in Los Angeles beginning this Thursday September 13-Sunday September 16th. VP Records is proud to be a sponsor of the festival. This weekend’s parties and events will launch with a Warm-Up event on Thursday. Friday will include a Welcome Check-In Party and The V Maui Wowi Bonfire with Alkaline performing. On Saturday, the Xtreme Wet N’ Wild Party with a performance by Bunji Garlin and the VP Records branded/sponsored BRT Glow Eruption will be held. The final day Sunday will close with the Jouvert Breakfast Party and the BRT All White “Grand Finale”. For those who want to keep the fun going well into the morning hours, there will be after parties held every night at various LA venues. See schedule here.